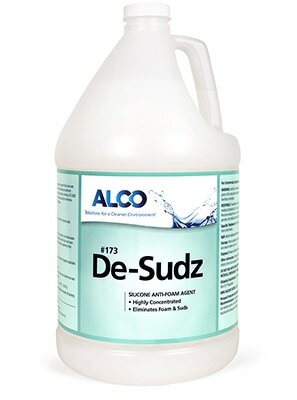 Alco De-Sudz - Alco-Chem, Inc. Highly concentrated defoamer. For controlling foam in recovery tanks of extractors and automatic scrubbers. Silicone base. Requires 75% less than conventional defoamer.